There are many patients out there who need to receive orthodontic treatment from children to adults. Those who do seek out the proper treatment will be able to enjoy a lifetime of straight smiles that they can show off. When patients fail to receive orthodontic treatment, they may be unhappy with the way their teeth look, but there is no age that is considered “too old” to receive treatment. Below, our team of dentists will talk more in-depth about retainers and explain them to you, as they are an effective orthodontic treatment that is still used today. Just because you had your braces taken off or you wrapped up orthodontic treatment does not mean that the process is over. In fact, it is important that you continue treatment and follow ups to ensure that your teeth remain in their new, corrected position. Orthodontic appliances come off at a variety of stages during the treatment process and when they do, you will receive a removable retainer to wear. These retainers help to ensure the results from treatment are stabilized. Once the bone and soft tissues around the teeth have been stabilized for several months, the retainer is then removed, and you will not have to wear it anymore. It is vital that you wear the retainer as directed and not take it out or fiddle with it. If you fail to wear a retainer as directed, your teeth may shift and cause an undesirable result, which would require re-treatment. How is a Retainer Worn? While you do have permanent teeth, they are not permanently in place and they can move within your mouth in different situations. It is important that you keep a retainer in your mouth once your teeth have been shifted to a position of desire. Some patients will need to wear a retainer indefinitely, but this is not the case with most patients. Retainers are worn in the mouth for a minimum of one year once treatment is completed. Once that year is up, retainers are only worn at night. By wearing the retainer at night, you do not have to worry about your wisdom teeth pushing through and shifting your corrected smile. You will need to come into our Thornton, CO office once every 6 to 9 months to have a checkup to make sure that your teeth are continuing to develop correctly. You will only need to have x-rays performed once every year and a half. Once the wisdom teeth grow in, you will then need to wear your retainer at least once per night throughout the week to ensure your muscles and teeth can keep their pressure. You will also find that this method ensures that you do not experience any crowding or movement of the teeth. If you are fitted for a retainer, it is vital that you care for your retainer and you make sure to keep it in good condition. Retainers come made from a specialized thermoplastic material that is quite sensitive to heat, so this means you do not want to place the retainer near a heater, in the dishwasher, or on the car’s dashboard. In general, you want to keep your retainer in temperatures that do not go above 115 degrees Fahrenheit. You will also need to make sure that you keep your retainer in its proper case to ensure it is not exposed to extreme elements. You also want to make sure that your retainer is kept from animals, as they may pass bacteria to you or chew on the plastic. Taking time to clean your retainer will pay off in the end as it will ensure the retainer does not hold onto any plaque or debris from the mouth. You should clean the retainer with a soft toothbrush and scrub it gently with soap to ensure that it is clean on all sides. You can place the retainer in a denture cleaning solution but do rinse off the retainer after you do. Since you want to wear the retainer for as many years as possible, you need to care for it properly. Your treatment plan will often include one replacement retainer once your braces have been removed from your mouth. If you do neglect or damage the retainer, you will need to pay for the replacement yourself. It is the goal of Thornton Town Center Family Dental to provide you with a beautiful and strong smile for life. We know that orthodontic treatment is a process and we are committed to making sure you can have a smile you are proud of. The dentists at Thornton Town Center Family Dental recommend that you continue to brush and floss your teeth as recommended. 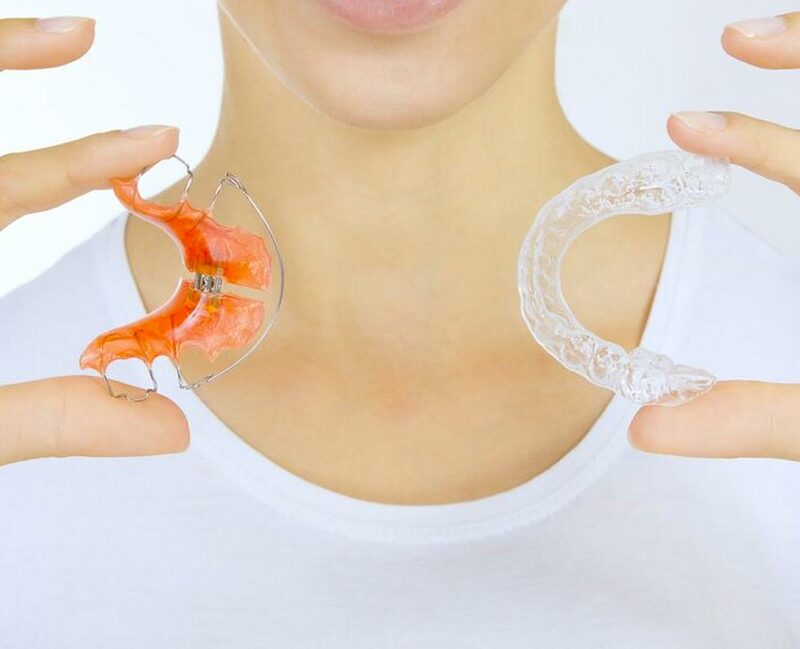 If you have any questions about your retainer or you run into any problems with your retainer, now is the time to get in touch with us at our Thornton, CO office.